All ages are welcome to join the fun of learning American Sign Language at the Reedsburg Public Library. Reading and writing will be encouraged for group participation. 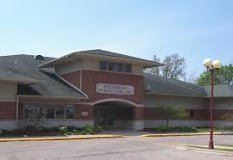 Reedsburg Public Library, 370 Vine St., Reedsburg. If special accommodations are needed, please call (608) 768-7323 at least 48 hours before the event.